Oh yes, another recipe with summer squash! My goal for the summer is to try and make it as many different ways as possible. So far I've made Cheesy Squash Rice and Shrimp with Tomatoes and Summer Squash. It was time for something sweeter, much sweeter!! This Lemon Blueberry Summer Squash Bread was awesome! The flavors were excellent and in the words of my daughter Ella, "You can't even taste the squash in it!" It turned out with a muffin like consistency and the lemon glaze topped it off perfectly! Enjoy!! Combine sugar, lemon juice and lemon zest in a mixing bowl. Add the melted butter and applesauce and mix with an electric mixer to combine. Add the eggs one at a time, and beat until the batter is mixed, about 2-3 minutes. Meanwhile, combine dry ingredients in a separate bowl. Add the dry ingredients to the mixing bowl, and beat until just combined into a batter. Add the grated squash and blueberries and fold in gently with a spoon until mixed. 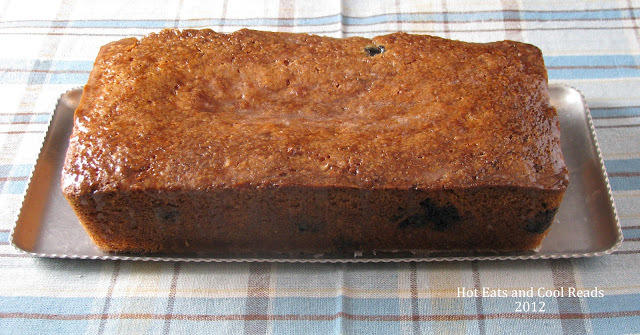 Divide batter into 2 loaf pans and smooth the top with a spatula. Bake for 45 minutes to an hour until cooked through. Remove from oven and when bread is slightly cooled, remove them from the loaf pans and set them on baking sheet. Mix all of the glaze ingredients and microwave 30 seconds at a time until it reaches a smooth consistency. Usually about 1 to 1 1/2 minutes. Spoon glaze over the top of each loaf. What an awesome use for summer squash! We always end up with way too much, and grilling it every night just doesn't cut it :) Thanks for sharing! Your welcome! It's a great way to use some of it up! What a lovely loaf of bread! 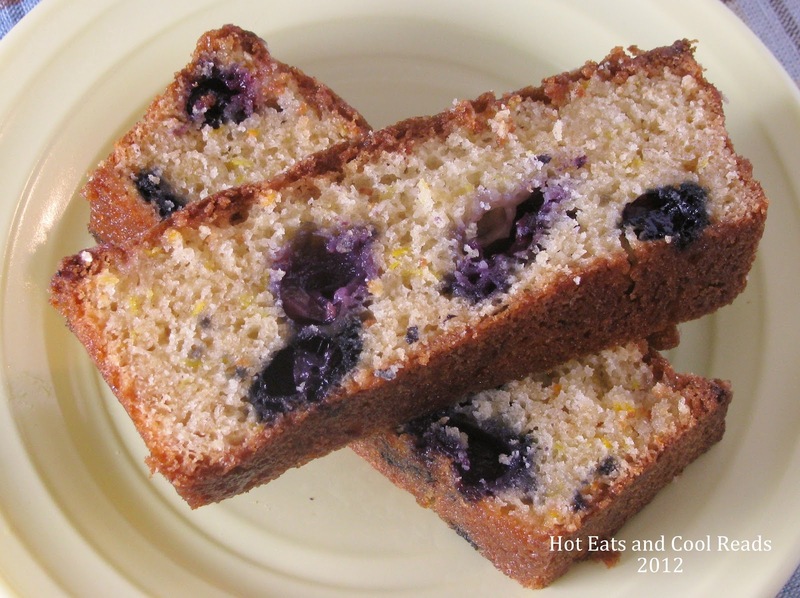 I have never tried the combo of blueberry and summer squash in a quick bread. It sounds really amazing. Thank you!! It is a great combo! I can almost taste this fantastic combination for your bread. This is a great summertime treat. Hope you are having a great week and thank you so much for sharing with Full Plate Thursday. Super recipe. Thanks for sharing on Foodie Friends Friday! What an amazing recipe. I sooo love 'hiding' other foods and surprising those who enjoy eating them. Thanks for linking up at Weekend Potluck. Enjoy a delicious weekend! Thanks so much Marsha!! Hope you had a fabulous weekend!! Looks so good. Love the applesauce addition! Thanks for sharing on Foodie Friends Friday! Don't forget to VOTE on Sunday! Heading over to vote right now! Thanks so much!! What a great way to get some veggies into a delicious looking bread! Thanks so much for hosting! I love linking up every week!! I think I have everything to make this minus the lemon ... Might need to make a quick trip :) Thank you for sharing at "All my Bloggy Friends" ... I can't wait to see what you share tomorrow! What a great combo of ingredients!! Thank you so much for linking up to Tasty Thursdays last week. Hope to see you again this week!! I just edited it, Melissa! Thanks for letting me know it was missing from the instructions! Just made this recipe. All I can say is WOW!!! Didn't alter the recipe at all. Very lemony YUMMY!! !